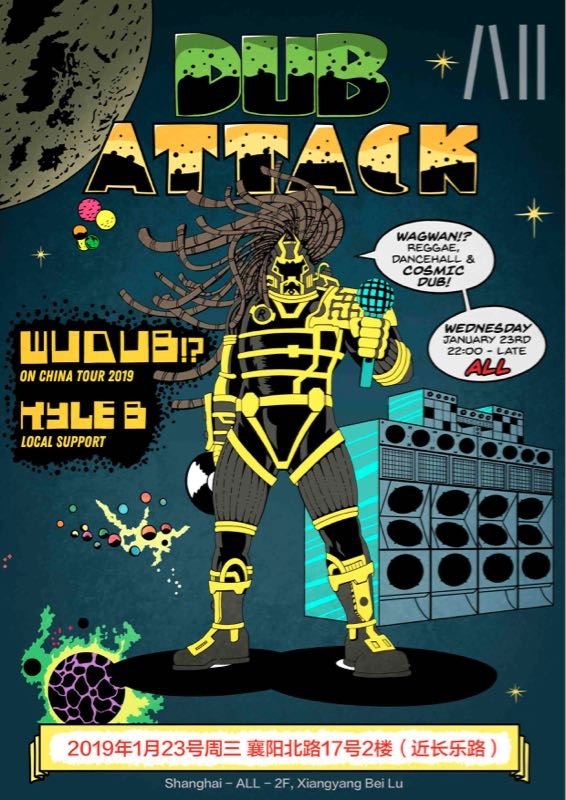 Travelling dub reggae night Dub Attack returns to Shanghai! This Wednesday night features WuduB!? from Belgium spinning a strictly vinyl set, with local support from Kyle B. of the Shanghai Dancehall crew. WuduB!? is addicted to creating unique atmospheres with his diverse take on contemporary bass music ranging from dub, steppers and dubstep to jungle. He developed his love and skills for music by spending his childhood days in his father’s studio. When the occasion arises he spices up his DJ sets with Theremin sounds, Microkorg fx’s and the deep and powerful reggae voice of MC Babylonbuster. As a vinyl lover WuduB!? is still trying to find his sounds on plastic, so you can fully enjoy that warm vinyl bass sound!